Iranian authorities have rearrested a prominent labor activist, amid a crackdown trying to stem protests and strikes. Qolian has been pursuing a campaign that she and labor leader Esmail Bakhshi were tortured during imprisonment in November and December. They were detained with several sugar mill workers who have been involved in months-long protests. Pushing back on the claims, Iran State TV broadcast video on Saturday of Qolian and Bakhshi, asserting that they are linked to a foreign-based Marxist group, and of another activist who said they were not mistreated in prison. The Marxist organization denied the alleged link as a fabrication by Iran’s Intelligence Ministry. Qolian said the videos were recorded under duress in prison and security officials had threatened to show the “confessions” on TV if she ever claimed torture. More than 1,300 activists have expressed support in petitions for Bakhshi and other workers. Amid long-standing economic problems, Iranian workers have regularly protested unpaid wages and poor conditions. This month 100 workers went on strike at the Asalouyeh Petrochemical Plant in southern Iran. 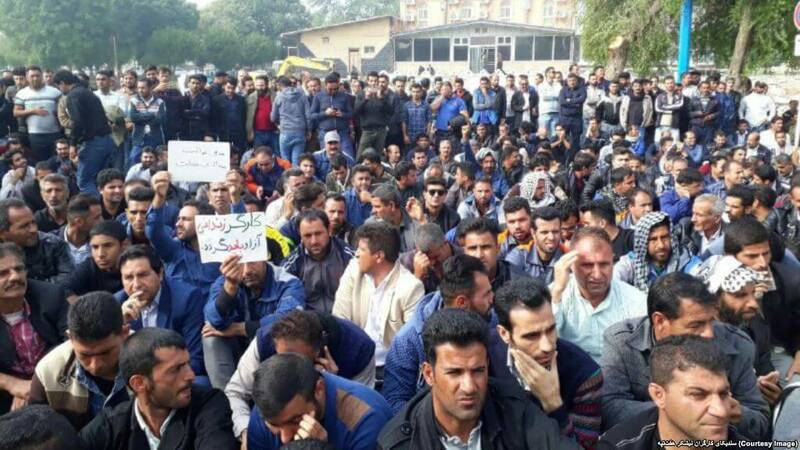 Bus drivers have demonstrated in Tehran, while sugar mill workers protest in Haft Tappeh in the southwest of the country.